HTC’s MWC event tomorrow afternoon won’t have many surprises after the folks at FullGSM managed to find the official spec pages for the One X floating around HTC’s site. It looks as if the device will come in both white and black (or charcoal) and will live up to all of the hype. It indeed does sport a 1.5GHz quad-core Tegra 3 processor, 4.7″ Super LCD HD display with Gorilla Glass, has 32GB of storage, new dual-shutter camera tech, 28mm wide angle lens, an NFC chip with Google Wallet support, and so much more. The only real downside that we are seeing is the 1800mAh battery. We would have liked to have seen something with a little more juice to power that massive display, but since the phone is not LTE, it could be fine. Jump past the break to see it all. As expected, it won’t be anywhere near Verizon’s network. 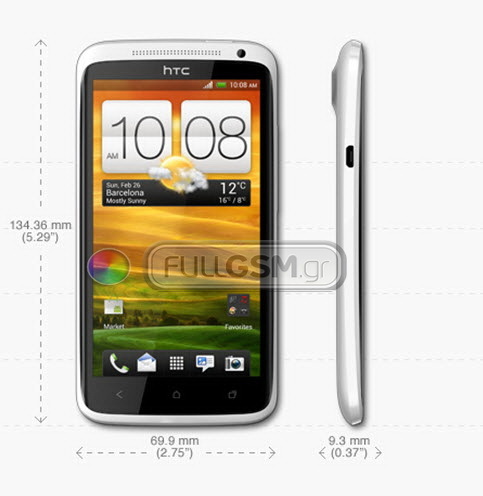 Will HTC and Big Red push a device with similar specs at some point though? We certainly hope so, especially knowing how HTC likes to handle bootloaders.